b. New Wave Seafood Ltd. is committed to complying with the General Data Protection Act (GDPR) and has published this guide to help you understand how and why New Wave Seafood Ltd. collect information from you, to whom such information is disclosed and what your rights are. If we make changes to this Policy we will notify you by updating this statement on our website. You can access our Website home page and browse our site without disclosing your personal data. However, when you register with New Wave Seafood Ltd. through our website you will be asked to provide certain information about yourself. d. for record keeping purposes;. g. Monitor customer traffic patterns and site usage to help us develop and improve the design and layout of the site. h. Notify you about enhancement to our services, such as changes to the website, competitions, new services and special offers that may be of interest. We may contact you by email. i. When we provide you with products or services we may collect and store any personal information that you provide to us (excluding any payment card details). We may, for example, keep a record of your name, address, delivery address, email address, telephone number and bank account details where you choose to pay by direct debit..
l. we record and hold all telephone conversations for training and monitoring purposes for a period of 9 months. c. complying with our legal obligations. e. Customers have the right to withdraw consent at any time. Where consent is the only legal basis for processing, we will cease to process data after consent is withdrawn. 5. Who does New Wave Seafood Ltd. disclose the information it collects to? a. New Wave Seafood Ltd. will not share your information with outside companies for marketing purposes. Please be aware that if we are requested, by the police or any other regulatory or Government authority to provide your information and/or use your information, we are entitled to do so. a. We use third party data processors to assist us in developing our website and provide communication and marketing info. We also ensure that all our third-party processors are GDPR compliant with appropriate security and data handling systems in place. a. You have a right to access the personal data that we hold on you. If you would like to see a copy please send an email to dataprotection@new-wave.co.uk, quoting "Security and Privacy Enquiry". This data request is free of charge. However, according to company policy, in the event of repetitive or excessive data requests there may be an applicable fee. Upon receipt of a Subject Access Request and provided we can validate the authenticity of the request, it will be processed within 30 days. b. Also, if you think the information we hold on you is incorrect, to update this information please contact dataprotection@new-wave.co.uk, quoting Security and Privacy Enquiry. i. The deletion of all data held on you (provided there is no legal obligation or reasonable cause for the company to keep this data). i. To record the areas of the website that you have visited, products you have viewed and time spent browsing. 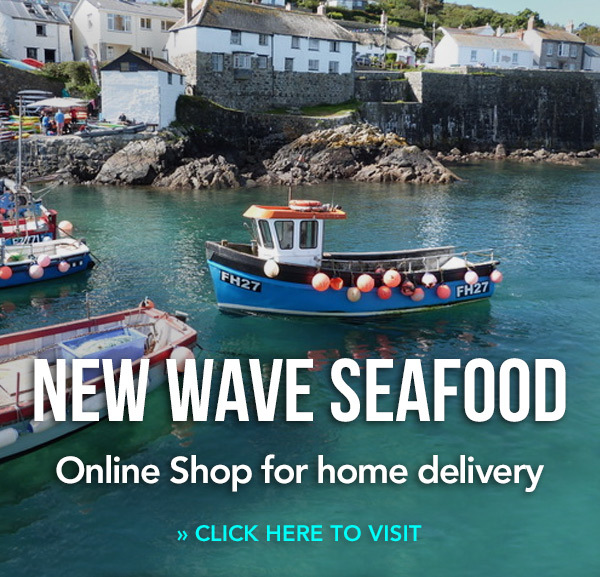 New Wave Seafood Ltd. use this information to help make the website more user friendly, develop our site design and to continuously improve the quality of the service we provide. ii. To distribute visitors to our site evenly across platforms to ensure the content is served at the fastest possible speed. a. Yes. The information stored in cookies is safe and anonymous. They do not contain any information which could personally identify you and your account security is never compromised. You can find more information about cookies at www.allaboutcookies.org and www.youronlinechoices.eu. For a video about cookies visit http://www.google.com/policies/technologies/cookies/. 4. Can I turn off cookies? a. If you have any questions relating to this policy or the use by New Wave Seafood Ltd. of personal data please email dataprotection@new-wave.co.uk , quoting "Security and Privacy Enquiry". b. As part of our continued commitment to the security of all personal data entrusted to us, we have an appointed Data Protection Officer, ensuring that we adhere to all regulations and maintain a stellar standard of data protection at all times. For enquiries about this role and how this affects your personal data, or how to be put in contact with them, please write to dataprotection@new-wave.co.uk, quoting "Data Protection Officer Enquiry".